Ispecc, a company that offers a variety of equipment and industrial services to the aerospace, automotive, energy, defence and advanced composites sector, has been appointed as distributor of Eastman automated cutting machines. In future, Ispecc will understand the process, production and quality targets of a customer and specify the optimal Eastman solution. Ispecc has in-depth knowledge of capital plant including Eastman cutting systems, robotic production cells, industrial ovens, presses, hot drape formers, RTM equipment and advanced mould/tools. Ispecc will assist with capital plant design, specification, production process optimisation and procurement assistance to companies, according to a press release by the company. The project management division of Ispecc offers professional implementation of capital plant installations whilst its consultancy offers real insight and market intelligence for infrastructure programming, return on investment analysis and advice on compliance to key legislation governing operation of capital plant with guidance on advanced controls for industry 4.0 to increase productivity. 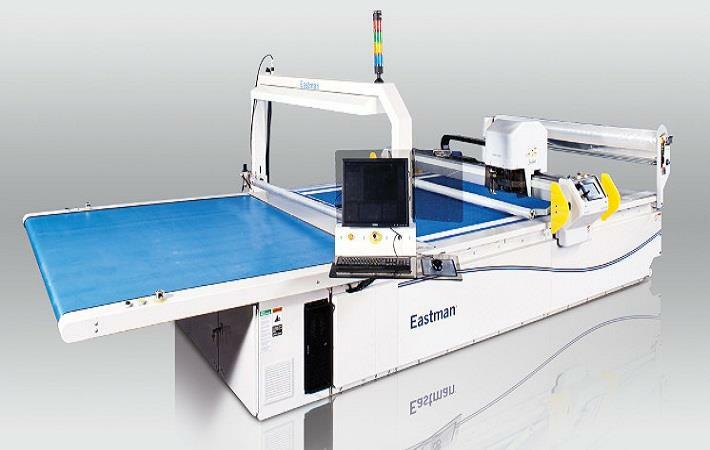 Eastman’s cutting machines perform automated cutting of materials increasing productivity for many processes. Eastman feeder systems efficiently introduce product to be cut and spreader attachments allowing multiple layers to be evenly spread prior to cutting. The system can also be fitted with product labelling systems. Eastman’s suite of intelligent controls and software solutions include – Eastman Cutpro, a dynamic operating system; Patternpro for design and efficient nesting of patterns to minimise waste, Easiselect for fast selection processing and Digitiser to trace and record all parts. “We are really pleased to represent Eastman. They have an amazing heritage for engineering really robust machinery with advanced software solutions and they have an ethos of going the extra mile for customers which fits well with our approach,” said Nigel Clifford, managing director of Ispecc.